The type of theodicy proposed by Augustine of Hippo (354-430 CE) provides a case for the existence of a perfectly good and omnipotent divine being (ie. God) in the face of the presence of evil suffered by worldly creatures, and the theoretical problem generated thereby. In doing so, he utilises both Christian theology and neo-Platonic philosophy. Unfortunately, the Augustinian theodicy fails ad hoc to both coherently account for the existence of evil in the known universe and to consistently defend the existence of a perfectly good ultimate reality (God) in the face of that existence. In short, Augustine falls short of attaining exactly what a theodicy is structured to accomplish. It appears that the main problem here functions around the attempted reconciliation of philosophical and theological ideas and the combination of conceptions which by themselves could be considered to be sound. For example, the argument for evil as the privation of good taken from Christian theology may be sound in itself, but when it is combined with the philosophical existentialist conception of necessary ‘non-being’ it is found to be untenable on the grounds of philosophical inquiry. Although this theodicy may have been quite applicable to the 4th-5th century world, modern philosophy enjoys many more years of critical inquiry and enables an identification of it as wholly inadequate. Instead of departing with a clear understanding of evil and of God as a perfectly good and infallible reality, one is left wondering what exactly the purpose of evil in the universe entails, and appreciating God as a contradiction of Christian faith. In his attempt to reconcile both theology and philosophy, Augustine fails to remain coherent within the confines of both. (1) God is a perfect reality. (2) A perfect reality is an omnipotent being. (3) An omnipotent being could single-handedly create a world in which genuine evil was not a part. (4) A perfect reality is a morally perfect being. (5) A morally perfect being would desire creation of a world in which genuine evil was absent. (6) The existence of genuine evil in the world would mean that there is no perfect, omnipotent, morally perfect being who created it. (7) Genuine evil does exist in the world. (8) Thus there is no perfect, omnipotent, morally perfect being who created the world (ie.God). David Ray Griffin, “Augustine and the Denial of Genuine Evil.” In The Problem of Evil: Selected Readings, ed. Michael L. Peterson (Notre Dame, IN: University of Notre Dame Press, 1992), 213. The first strand, and that on which the entire theodicy stems from, is that of the goodness of creation. According to Augustine, everything in the world is by nature derivatively good as it represents the divine creativity, positive will, and endorsement of the perfectly good being who created it. Important to note in this strand is that Augustine equates existence with goodness, rendering even what human beings would consider to be evil as essentially good. The second strand, possibly the most decisive of his whole theodicy, is that of denoting worldly pain and suffering as sin and its consequences - particularly of that first initial human sin which resulted in the ‘Fall’ of humanity. It is within this strand that we find Augustine’s argument that all pain and suffering is caused by misuse of human free will. Because of the gravity of the transgression of the first human beings and the severe punishment meted out in response, humanity faces a world in which they are susceptible to death and disease and sin. According to this view, absolutely no human being is deemed to be truly innocent and shall suffer just consequences throughout their worldly lives. 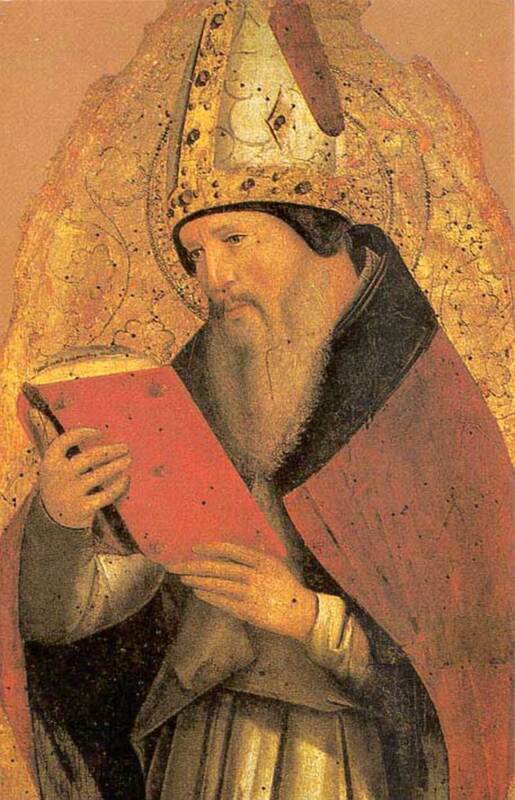 Thirdly, Augustine proposes the ‘Fall’ of humanity as a great good within itself, known as the doctrine of felix culpa. In order to uphold the notion of a perfectly good and moral divine being, it is contended that in allowing His free and rational creatures (ie humanity) to sin - thus permitting the existence of evil in the world - God intended to bring about an even greater good than would have been possible without it. According to Augustine, this greater good is that of final redemption. 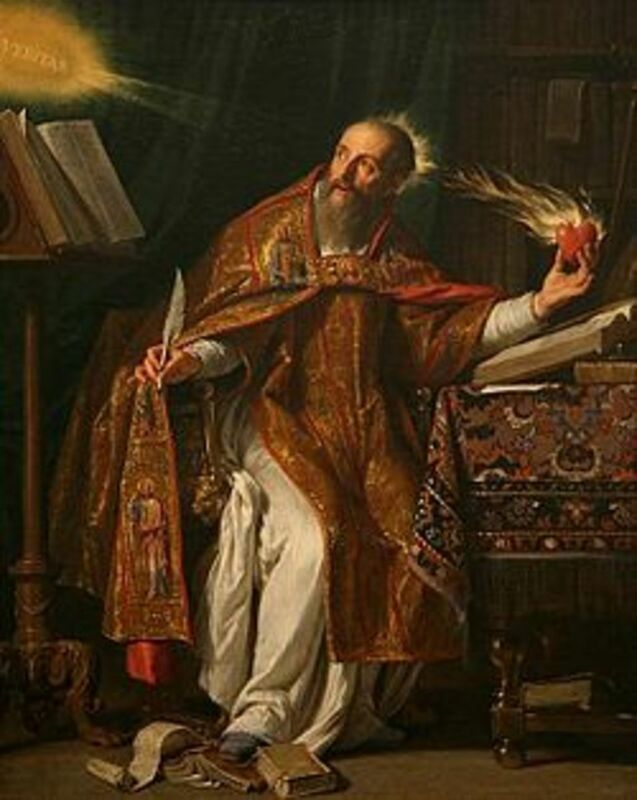 Finally, in connection to his argument of the inherent goodness of creation, Augustine designates evil as a ‘non-being’ – that is, the privation of something good. According to this view, evil represents nothing more than a deficiency of something good and has no positive value of its own. In other words, there exists no genuine evil, only the metaphysical evil of sin which, when understood in light of the doctrine of felix culpa, is good as it forms the basis for an even greater good. Do you agree with the author's evaluation of the Augustinian theodicy? Now that the key strands of Augustinian theodicy have been discussed, it is possible to critically evaluate the validity of his premises, and whether or not they can be taken as sound. Underlying the Augustinian theodicy is a strong foundation in the omnipotence, immutability and omniscience of God. Unfortunately, this foundation threatens to undermine the whole theodicy as it seemingly contradicts the reality of free choice and will. Key to the Augustinian understanding of God as omniscient is the conception of God as immutable, as God knows everything it is logically impossible that this knowledge can be increased or decreased. It thus follows that God is prescient, that he foreknows everything that will ever happen. According to this understanding, there is no possibility that human beings could do different to what God foreknows; it is necessary that a human being do/will what it is that God foreknows that they will do/will. Similarly, the Augustinian definition of God as omnipotent renders human free choice and will logically impossible. The presence of evil in the world as a sin and the punishment caused thereof suggests that in the operation of their free will, human beings can go contrary to the divine will. However, according to this definition of God there is nothing in the world that does not exist unless willed by Him which, in addition to contradicting human free will, places the blame for sin and evil at His very feet. Needless to say, these understandings of God render human free will as illusory, and are directly at odds with the Augustinian notion that human beings are morally responsible for their sins. It is thus that I believe these most fundamental premises to wholly contradict the entire argument that God allows evil to exist as just punishment of those who misuse their free will. In order to justify the premise that there exists no genuine evil in the universe, Augustine employs a biblical and neo-Platonic approach of the universe as inherently good. According to the biblical aspect of this approach, the universe is inherently good as God has specifically willed and affirmed it. The neo-Platonic aspect denotes being and goodness as irrevocably intertwined, and understands them as emanations of the ultimate divine Being. In order for this understanding to not be rendered as a purely emanationist theory - vital if it is to not be completely divorced from its Christian context - it is necessary to appraise its validity within Christian theology. 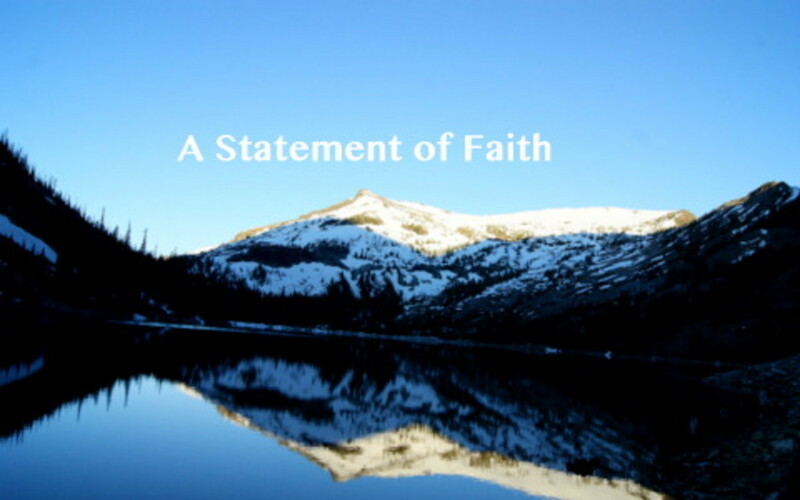 It is here that difficulties are encountered as the Christian gospel clearly states that there is nothing which is ultimately good but God alone (Mk 10:18). It is thus clear that this argument is at the very least partially incoherent when applied within a Christian framework and accordingly cannot stand as a wholly consistent argument for the absence of genuine evil in the universe. Furthermore, the fact of this incoherence throws the door wide open to suspicion regarding Augustine’s understanding of evil and God’s role therein as it suggests that God created a universe in which evil nature is a feature. According to this. He is responsible for such natures and the presence of evil in the universe as a whole. According to the Augustinian use of the doctrine of the ‘Fall’, humankind was created as perfect creatures and was placed by God in a perfect milieu. However, these perfect creatures transgressed and became the location for the creation of evil ex-nihilo. It is thus that they are now found to be wholly responsible for the existence of sin and evil in the universe. Unfortunately for the theodicy, I believe that it is clear that this argument is entirely unsound as a philosophical premise, as it inevitably encounters an incontrovertible ‘catch 22’ which renders God as ultimately responsible for the moral failings of humanity. If it is true that humankind was created as unqualifiedly perfect, then how exactly was it that they came to sin? 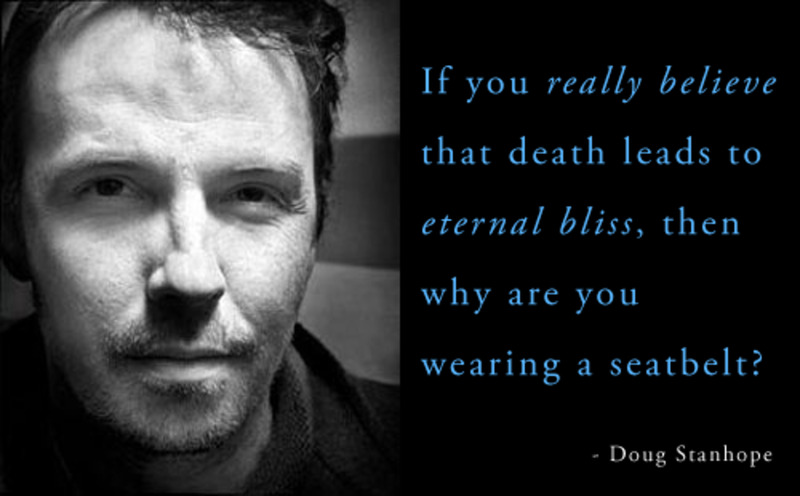 It is logically impossible that such beings would have the capability to needlessly sin in the first place. It is thus necessary to assert that humanity was not created good in this sense, rather that they were formed as morally imperfect beings. However, if this is the case then God is responsible for our ability for moral failing and thus cannot justly punish us on account of what Augustine considers as our misuse of free will. Furthermore, the connection between this account of the ‘Fall’ and the present situation of the universe regarding evil operates fundamentally on a historical understanding, viewing the ‘Fall’ as a concrete historical fact. However, I believe that scientific knowledge regarding the order and structure of nature suggests this to be logically unlikely. This doctrine states that God, who is perfectly good, allows evil to exist in the form of sin only to enable him to bring about a greater good (ie redemption) than would have been possible without it. 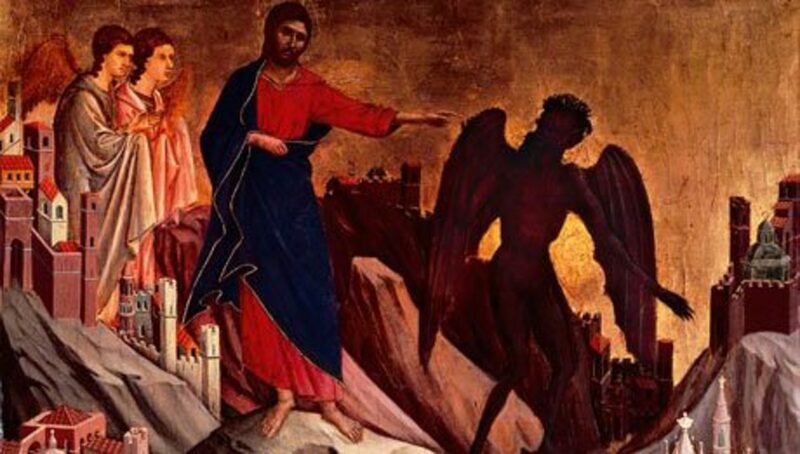 However, when considered in light of another conception of Augustine’s theodicy, the doctrine of eternal damnation, this argument is rendered incoherent. According to the doctrine of eternal damnation and punishment, the majority of humanity will never be liberated from their aberrant state and God will never bring a greater good out of the evil of sin. As such, the divine will insofar as He brings about this greater good is left as frustrated. However, the Augustinian theodicy operates on the basis that God is omnipotent and omniscient. As such, the will of God is unable to be frustrated and He foreknows everything that will ever occur. It is thus that this theodicy encounters what seems to be an insurmountable obstacle in the notion of a God who creates beings that He knows will be left outside the boundaries of the greater good of redemption, whose evil will never be vindicated within the universe by that good. But how exactly does this fit with the understanding of a perfectly good God? If God has created the nature of those who He knows will never be redeemed, how is it then possible that this perfectly good God operates as blameless in regard to evil? Is it not then a case of Him creating individuals whom He knows will bring about unanswered evil in the world? According to this argument, evil has no positive existence of its own but rather operates as a privation of something good. This is not to deny that evil is present in the universe, but rather evil exists as something which is understood as a ‘negatively positive’ reality, as not having any existence of its own without connection with the reality of good. However, this affirmation is rendered as arbitrary when it is taken outside of the Christian framework, which functions on the principle that it is good that is primary, not evil. When understood as apart from this arrangement, it makes no logical sense that good should be taken as primary over and against the superiority of evil as an absolute component of the universe. This is most clearly seen when examining the human experience in which both evil and good are encountered as equivalently imminent and imperative in the course of living as mortal beings in a physical world. It is thus that in the absence of a Christian structure, this argument fails to explain even the base reality of evil in the universe. Furthermore, the inconsistency which plagues Augustine’s theodicy is evident in the fact that the argument of the goodness of creation cannot be validly upheld in light of the Christian theological context and yet that of evil as the privation of good cannot be accepted without such a framework. I believe that in the face of such logical incoherence and inconsistency this premise cannot be taken as sound and must accordingly be dismissed as a valid conclusion for the nature of evil from the argument that creation is inherently good. Which is rendered from a literal interpretation of Genesis 1 & 2. John Hick, Evil and the God of Love (Hampshire: Palgrave Macmillan, 2010), 171. Draper, Paul. “The Problem of Evil.” In The Oxford Handbook of Philosophical Inquiry, edited by Thomas P. Flint and Michael C. Rea, 332-351. New York, NY: Oxford University Press, 2009. Feinberg, John S. The Many Faces of Evil: Theological Systems and the Problems of Evil. Wheaton, IL: Crossway Books, 2004. Frankfurt, Harry G, “The Logic of Omnipotence.” In Philosophy of Religion: An Anthology, edited by Louis P. Pojman, 281-282. Belmont, CA: Wadsworth Publishing Company, 1998. Griffin, David Ray. “Augustine and the Denial of Genuine Evil.” In The Problem of Evil: Selected Readings, edited by Michael L. Peterson, 197-214. Notre Dame, IN: University of Notre Dame Press, 1992. Hick, John. Evil and the God of Love. Hampshire: Palgrave Macmillan, 2010. Hume, David. “Evil and the God of Religion.” In the Problem of Evil: Selected Readings, edited by Michael L. Peterson, 39-56. Notre Dame, IN: University of Notre Dame Press, 1992. 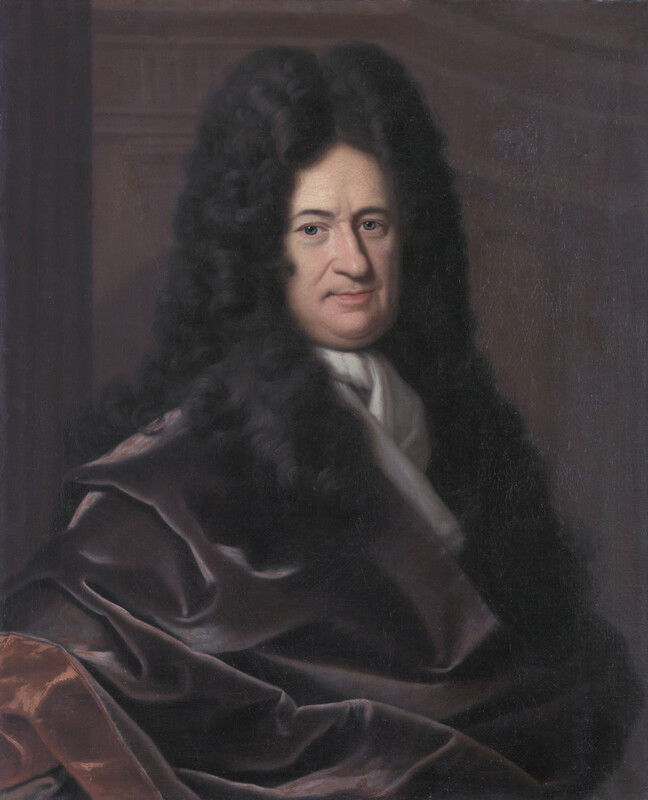 Leibniz, Gottfried. “Theodicy: A Defense of Theism.” In Philosophy of Religion: An Anthology, edited by Louis P. Pojman, 172-177. Belmont, CA: Wadsworth Publishing Company, 1998. Mackie, J. L. “Evil and Omnipotence.” In Philosophy of Religion: An Anthology, edited by Louis P. Pojman, 186-193. Belmont, CA: Wadsworth Publishing Company, 1998. Murray, Michael J. “Theodicy.” In the Oxford Handbook of Philosophical Inquiry, edited by Thomas P. Flint and Michael C. Rea, 352-373. New York, NY: Oxford University Press, 2009. Phillips, D.Z. The Problem of Evil & the Problem of God. Minneapolis: Fortress Press, 2005. Pike, Nelson. “God’s Foreknowledge and Human Free Will Are Incompatible.” In Philosophy of Religion: An Anthology, edited by Louis P. Pojman, 261-271. Belmont, CA: Wadsworth Publishing Company, 1998. Thanks for taking an interest and taking the time to comment guys! It's heartening to see that other people find this stuff as fascinating and engaging as I do! What you have described is the paradox of free will, and something I have trouble getting my head around. The Abrahamic God is understood to be omniscient, yet our free will as human beings by its very nature contradicts this characteristic. It's a tough one and I'm still trying to figure my way through it. I'll keep you posted haha. Thanks for the critique - the theoretical problem I described was taken from the work of David Griffin and is purely a bare-bones argument from logic. The problem you present is exactly that which with I take issue regarding many of the classical arguments for the existence of God. Many, while they have their own valuable lessons to teach, are antiquated and need to be revised in order to be either rejected or applied within the modern context. Unfortunately, the most common responses to difficult moral and theological questions find their roots in theodicies and theologies such as Augustines. It is an irritating habit. Thanks for posting this hub. It is well written and tackles the issue head-on. There is perhaps a slight weakness in your presented argument in steps 5 and 6, but the weakness is not fatal to your argument. "(5) A morally perfect being would desire creation of a world in which genuine evil was absent." There is a question of how to judge the likelihood of our being able to make these distinctions about what an absolute goodness "would desire." It opens up the possibility for the Christian argument to make an entry into the arena. Unfortunately for that Christian argument, it fails on too many levels to be considered a coherent presentation. The argument fails and is "resurrected" only by the traditional appeal to authority and abdication of responsibility found in the easily recited excuse about God's infinite wisdom being too difficult for mortals to comprehend. Those who try to "explain" where you went wrong simply miss the points you have made. But who would expect them to avoid trying? …with all of the same arguments and all of the very same (logically unfortunate) results. Interestingly, there are arguments for the existence of god, but the Christian or other Abrahamic ones don't cut the mustard. That kind of a god is so full of contradictions that no logic can excuse, that he becomes the ultimate contradiction in an otherwise fairly well-regulated Universe. I find this to be an endlessly fascinating topic. Regarding "The Theoretical Problem of Evil"
Evil is made possible through free will. With free will God really did make a boulder so large even He can't move it. A free will is a will apart from His. Free will makes us creators. We add things to this universe that are not 'of God' but are 'of us'. For us to have our own minds and wills, then evil must be possible. Evil simply being harmful actions outside of God's will. Also, God's omnipotence does not remove, or contradict, free will. God having fore-knowledge of our actions does not remove our capability to choose freely in any given moment. Besides, it is possible that humans can do something God did not anticipate. An example can be seen in Genesis 6. In this chapter it's explaining why the flood was necessary. It says the 'sons of God' had children with the 'daughters of humans', who it explains are mortal and only live 120 years. It then makes the interesting statement that God "regretted putting humans on the earth". If Adam/Eve were the introduction of free will into the world, a world that was otherwise "good" as deemed by God in Gen1, because free will is a will apart from His, even with God's ability to see all time all at once, He could not know what would happen once free will was introduced until it was done. Having made humans in the same 'image' and 'likeness', He did not anticipate the 'sons of God' (Adam's descendants) mating and procreating with humans, which then introduced free will into humanity, making them 'wicked'. Wickedness is only possible through free will. From God's perspective there are two timelines in this scenario, one without free will and one with. Until free will was a part of reality He really couldn't know what would happen. Another example is God's testing of Abraham. If Abraham were never put in a position where he'd have to make that choice, then God would not be able to see His choice because it doesn't exist. God actually had to create the situation that then made Abraham make a decision so God could then see it.